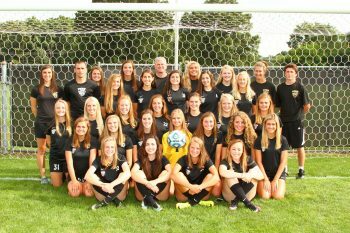 Penn’s girls soccer team, ranked No. 5 in the nation, opened the season with three victories against three ranked opponents in the Indian Invite Friday and Saturday, Aug. 19 and 20. Opening against Evansville Memorial, the Kingsmen started the Indian Invite with a 2-0 victory. Kristina Lynch & Kelsi Carrico scored goals and Brooke VanDyck contributed 2 assists. Sommer Domal made 7 saves in goal. 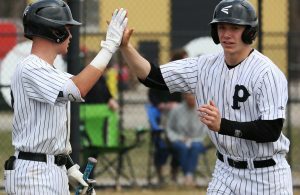 Penn defeated Noblesville, 2-1. Nicole Knudtson scored both goals, and Kristina Lynch had two assists. 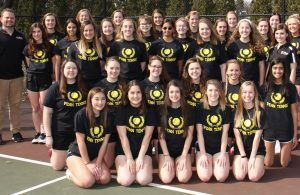 Penn finished off the Indian Invite with a 4-0 win against Warsaw. Lexi Marks, Kristina Lynch, McKenzie Blankenbaker and Haylee Shahan scored goals, and Erin Ludwig, Brooke VanDyck, and Allie Lankowicz had the assists. Sommer Domal earned the shutout in goal. Penn coach Jeff Hart liked the challenge of opening up the season against rugged competition. “Opening up against 3 straight top 15-type programs helped us keep our players focused throughout the summer and pre-season,” Hart said. “Having lost 13 seniors to graduation has opened up opportunities for a number of extremely talented players who have prepared well while they waited for their chance to step on the field for us”. Hart saw his team respond to the challenge with three victories. “We believe we have a very talented team and this weekend allowed us to prove it mainly to ourselves,” Hart said. “We’ll go forward with a lot of confidence but knowing that we have to improve in all aspects of the game to reach our program goals”. Hart said that he was pleased with the way the Kingsmen played. 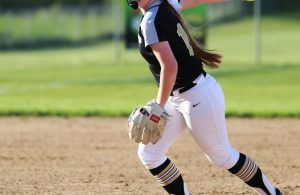 “Seventeen girls played in their first meaningful varsity games for Penn this weekend and against 3 ranked teams, including 2 Top 10 teams (Noblesville is also ranked 36th nationally),” Hart said. “Every single one of them showed great composure in highly competitive games. Hart knows that the Kingsmen, ranked No. 2 in the state and No. 5 nationally, will be a target in every game. “Well, we’d rather be a target than not if that means our program is having sustained success,” Hart said. “We have a group of kids that love to play the game and are highly competitive. We also have great player leadership on both varsity and JV, student-athletes that aren’t interested in being average. We train and compete every day in order to improve composure and speed of play which then brings confidence when put under pressure during a big game”.